Fountain Hills often gets overlooked by buyers considering a resort style environment around Scottsdale. This town is very much "out-of-sight, out-of-mind, because you actually have to drive over a mountain to get to this desert enclave from Scottsdale. The We-Ko-Pa golf course, by the Fort McDowell casino, is among the top 20 courses in Arizona according to Golf Digest. The Sunridge golf course (shown above), which is known for its "Wicked 6" holes, is also ranked in the top 25 "Courses you can Play" by Golfweek, and has a nice outdoor restaurant to enjoy the environment even after you play. 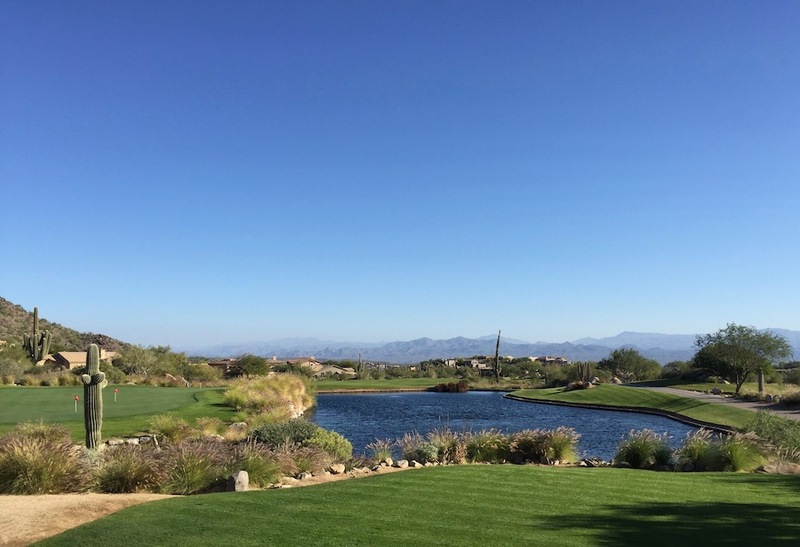 These courses and the others in Fountain Hills afford spectacular views of nearby mountains. Some of the courses offer seasonal passes to give you the most value for your money. 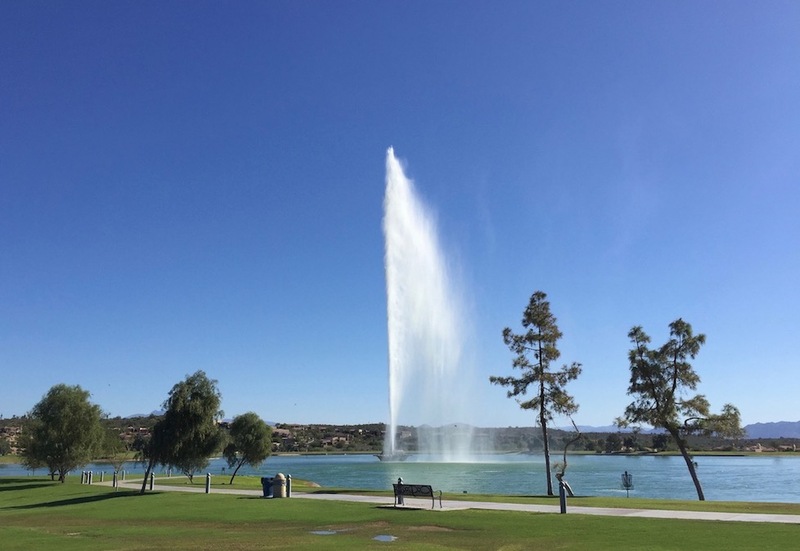 The 64 acre Fountain Park is the center masterpiece of Fountain Hills and has something for everyone. Besides the famous fountain that shoots 330 feet up in the area every hour and is surrounded by a 100 million gallon lake, there is also a disc golf course, a large children's playground and splash pad, and covered gazebos for a picnic. One of the most used features of Fountain Park however, is the walking path that rings the lake. After you spend time in the park, you can grab lunch at one of the nearby restaurants without having to get in your car. Fountain Park and the nearby Avenue of the Fountains are often hosting art shows, farmer's markets and music events. Drive around Fountain Hills and you'll see numerous license plates from the midwest. Folks from there can appreciate that the streets in Fountain Hills are just a bit less crowded than Scottsdale, though the population swells in the winter. There's no highrises or freeways here either, and the town areas are easy to get to from most parts of Fountain Hills. There are also some other small town things that residents enjoy, including local theater, local art exhibitions, a community garden, a Christmas market and other events, and much more than what we can list here. 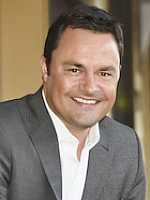 Fountain Hills Condo prices are about 20% lower than are condos in neighboring Scottsdale. 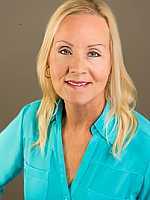 This allows buyers on a budget to enjoy everything Fountain Hills has to offer. Many condo communities have a pool too, and most are heated for our winter residents. Even ultra luxury condos are priced lower (compare the Overlook at Firerock to the Villas at Mountain Shadows). 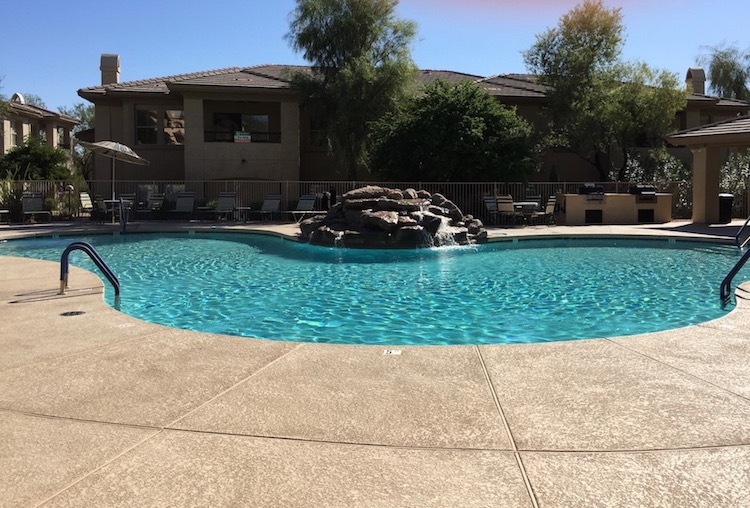 Check out some of our favorite Fountain Hills condos for sale in the list below! The name "Fountain Hills" aptly describes the two features that make this town unique - the giant Fountain in the center of the community and the hills that surround this picturesque "small town" city. Condos run the gamut in prices from budget to high-end luxury. Condos in Village at Towne Center offer coveted features such as dens (that can be a 3rd bedroom), one and two-car garages, gas fireplaces, nine foot ceilings and large laundry rooms. These residences are spacious, with the largest floorplan at 1873 square feet. Enjoy some of the best views in Fountain Hills at The Villas at Copperwynd. This newer community is built up on a ridge, so many townhomes here have awesome views of the Fountain Hills area, mountains and the Sunridge Canyon Golf course. The Villas at Copperwynd have open floorplans and are spacious, with most in the 1900-2600 square foot range. Residents have views from many windows and outdoor balconies. Walk to restaurants and groceries at Fiesta Casitas, in the heart of Fountain Hills. Residents can also enjoy a dip in the pool or spa, or the pleasant patios and balconies, some with a view. Fountain Park is less than a mile away. Condos at Fiesta Casitas have 2 bedrooms, between 945 and 1145 square feet. A few casita style condos are available, with no one above or below. The 85268 covers most of the city of Fountain Hills, known for it's iconic Fountain spraying 300 feet up, in the center of town. Pick from a desert environment townhome, with great mountain views, or a condo closer to town and the Fountain.